Build brand position; enhance utility. 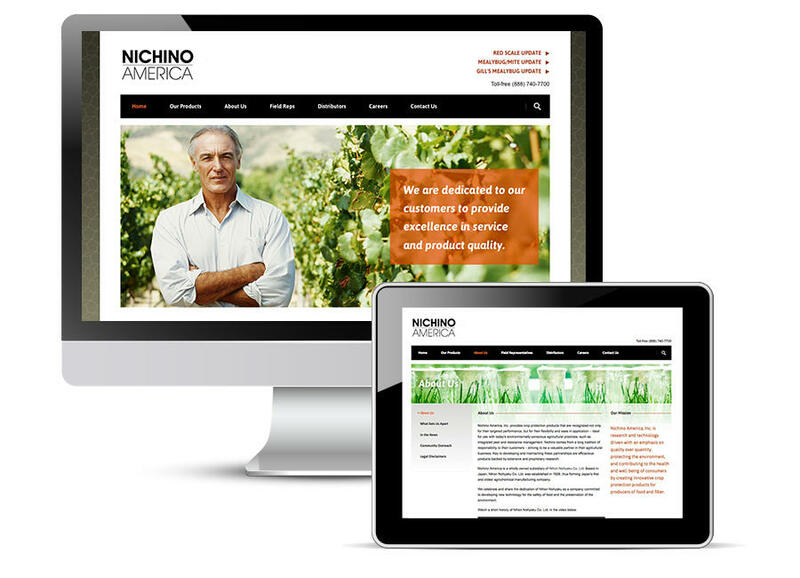 The Nichino America website delivers an effective marketing punch while at the same time, providing a valuable informational resource to a diverse audience that includes growers, advisors, university and extension specialists, distributors and fieldsmen. 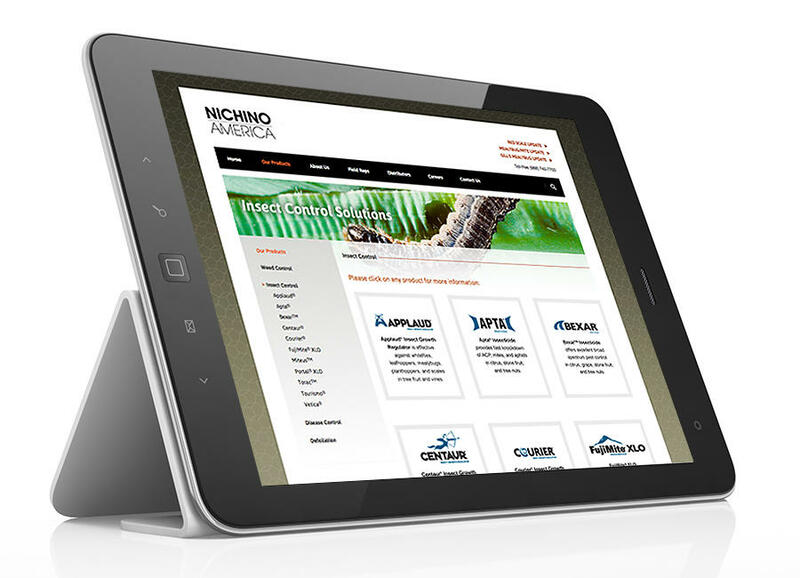 Site usability is enhanced by clearly organized information architecture with intuitive navigation. 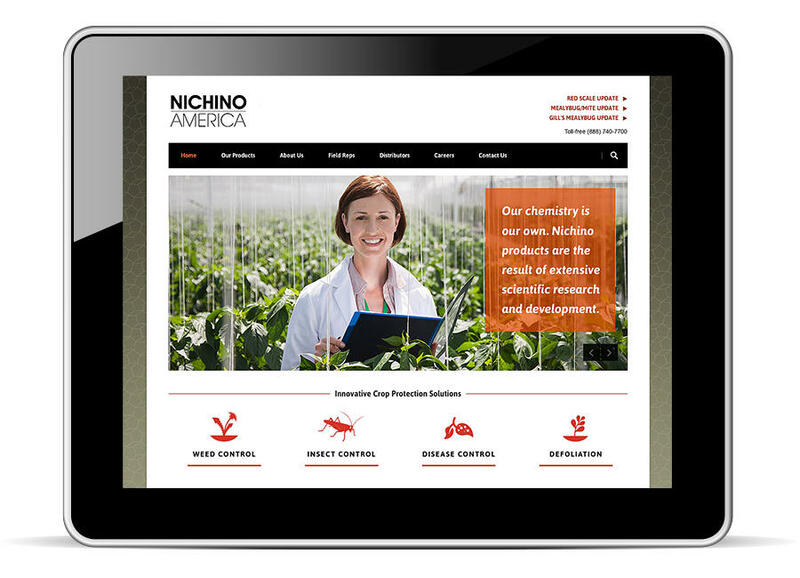 The site creative focuses on supporting Nichino’s brand position as an innovative, science-driven company and a strong player in the development of propriety chemistry solutions for commercial agriculture.